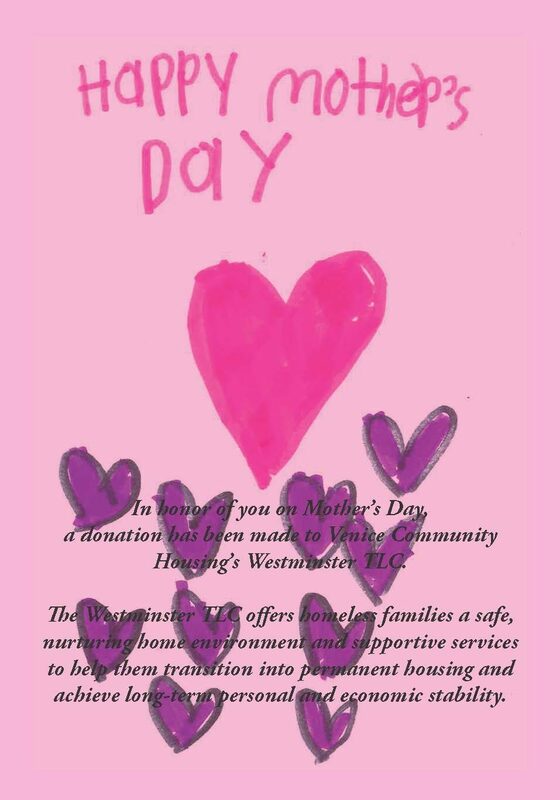 VCH is hosting its annual Mother’s Day card campaign. These cards are designed by the students in our Study Lounge program and benefit our Westminster TLC program. Consider buying some to honor the mothers or special women in your life! Your contribution allows us to provide supportive services to formerly homeless single parents and their children residing at the TLC, helping them transition to affordable, permanent supportive housing. For a $20 donation, we will send the card directly to the recipient or you! Additional cards are available for $10 each. Click HERE to purchase your cards now.